Mad Catz is a company with a strange history – while they were once the creators of a vast number of schlocky third-party controllers for consoles, the last decade or so has been incredibly kind to them, with the company reinventing itself as a high-end hardware manufacturer across the board, from flight simulation gear to arcade sticks and, of course, top-end PC peripherals. When exactly Mad Catz attained chops as a more high-end manufacturer isn’t easy to pinpoint, but one of the sea-changes undoubtedly came with 2008’s Street Fighter IV and their Tournament Edition Fight sticks. Sturdy and sound, they became the industry standard – and now 2015 is seeing Mad Catz extend the ‘Tournament Edition’ brand to other arenas including the PC world with a ‘Tournament Edition’ keyboard, mouse and headset. The ‘TE’ branding carries with it certain standards. They aim to be light in order to be carried to and from events, for instance, but for the same reason they also have to be sturdy. Most important, they need to combine these qualities with the sort of high-end technology that tournament players expect. For the most part, the range succeeds fantastically. The STRIKE TE is the very first fully-mechanical keyboard Mad Catz has produced, and as somebody quite familiar with previous STRIKE models, the difference is immediately profound. 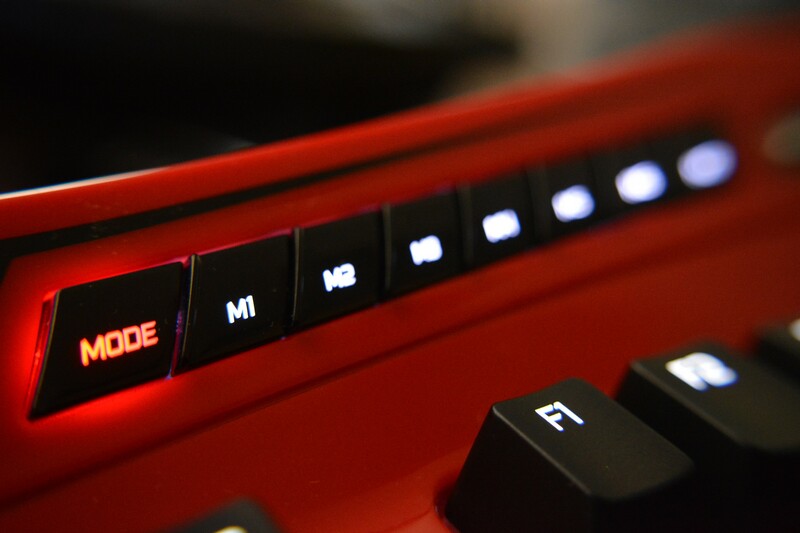 Those deeply familiar with keyboard technology might want to note that the STRIKE doesn’t use Cherry switches, but rather ones of Mad Catz’ own design – but the performance seemed much the same to me. 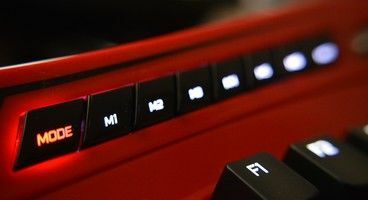 Mad Catz claims that the switches that power the keys are good for in the region of 50 million keystrokes, and while that’s a difficult number to fathom, they certainly feel built to last without issue. Another nifty piece of technology behind the keys is the 30-key rollover – a unique gaming-angled feature that essentially prevents the keyboard from getting overloaded by button presses. Most keyboards can handle a few buttons being pressed at once, but the STRIKE can actually process 30 different inputs at once. While we might not have that many fingers, it’s a damn fine feature meaning that even if you’re zipping from key to key quickly, nothing will be lost. It’s particularly ideal for input-heavy games like StarCraft or DOTA, where APM is a genuine concern – thus living up to the tournament moniker. Other gaming-specific features also shine – in the case of the white LED backlight, quite literally. 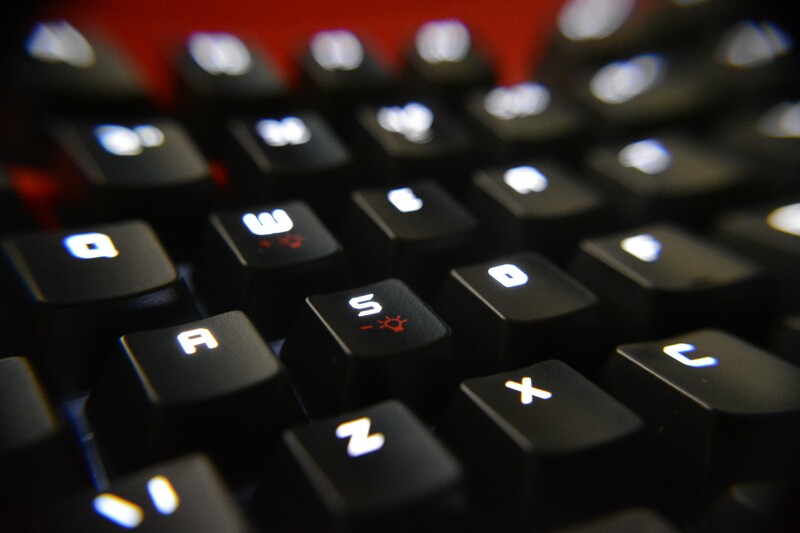 The keyboard can be set to one of five levels of brightness or turned off entirely via hotkeys, but in addition to that the two most important areas to PC gamers – WASD and the Arrow Keys – can have their brightness toggled separately. If you want to have the backlight off except for on those vital keys, for instance, you can – it’s a really awesome touch. The STRIKE also comes equipped with 12 programmable macro buttons hidden away at the top, plus a windows lock key to prevent you from accidentally bringing up the start menu mid-game. 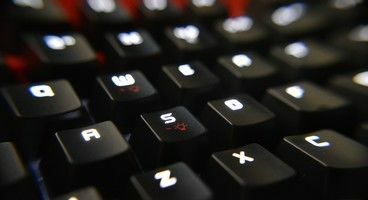 All these features are useful, but where the STRIKE really shines is in its build quality and in the incredibly satisfying typing and gaming experience – even if the design of the keyboard is, at first glance, a little plastic-looking. It’s an easy recommendation. The RAT series of mice is one that has received much praise since launching a few years ago, and the TE model manages to prove a solid blend of what makes those high-end, feature-rich models good while stripping back extraneous features to bring the weight – and price – down. 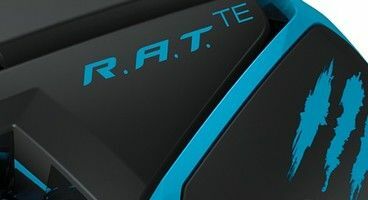 The RAT TE feels dangerously light at first touch – like it’d easily break – but after significant use and abuse, I found the build quality to be surprisingly solid. Like the keyboard, it’s built to last, with each button certified as supposedly being able to last several million presses. Much of the hot-swap technology from previous RAT models is gone, but there’s still an adjustable palm rest. Even without that technology, this is one comfortable mouse, especially for those who prefer a ‘claw’ grip – though admittedly one that only really works for right-handed users thanks to the way its sides are constructed. I found it very comfortable to use, and the aesthetically focused will be pleased to know its black-and-blue accented design goes perfectly with the comfortable ‘GLIDE’ gaming surface that Mad Catz also puts out. The mouse comes with the standard array of buttons – seven buttons plus a scroll wheel, though one of these buttons is dedicated to switching the DPI of the mouse up and down between several software-free DPI settings. Every button can be reprogrammed to your desires in the slightly clunky but much-improved and quite functional software Mad Catz has designed for its PC peripherals. With their sleek, sharp-edged designs, the RAT and the STRIKE go together quite well as a pair, despite the fact they’re only sold separately. 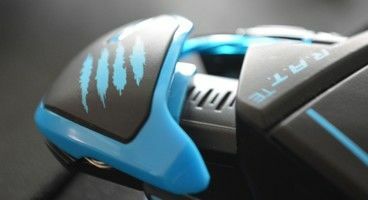 Mad Catz continues to make a strong push in the PC space, and the TE products remain some of the best bang-for-buck top-flight keyboards and mice out there. By stripping them back of unnecessary extra features, Mad Catz has been able to drag down the price without impacting quality – in the process also bolstering plug-and-play usability. Both peripherals come fully recommended for PC gamers looking for higher-end input devices. 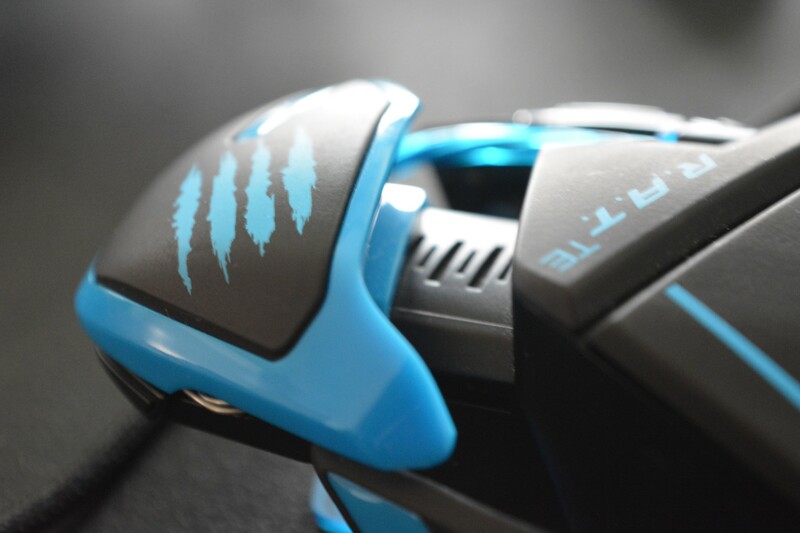 The Mad Catz RAT TE and STRIKE TE are both available now from retailers such as Amazon and eBuyer.